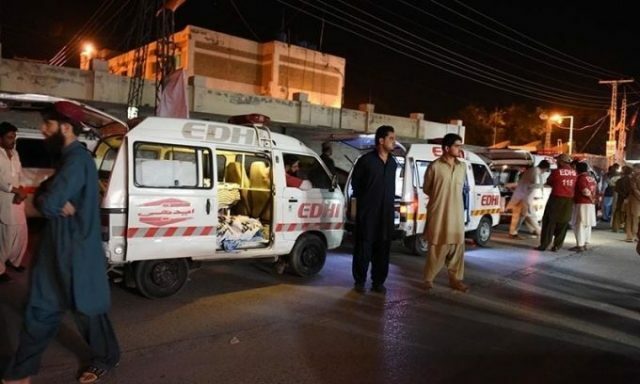 Two young women were shot at and injured by unknown attackers in Quetta, SAMAA TV reported on Sunday. According to police, the incident occurred in Quetta’s Bukhari Town within the limits of Shalkot police station. “Unknown gunmen fired at Nadia and Shaista. They were critically injured and rushed to civil hospital,” SHO Shalkot, Qadir Qambrani, told SAMAA. The hospital administration said that the condition of the women was out of danger. Police said the girls are sisters. Their family had not registered an FIR at the time of writing this report. The motive behind the attack could not be ascertained immediately.